Luxury cigar brand Davidoff is now half a century old. The first Davidoff branded cigars debuted in 1968, and were rolled at the El Laguito factory in Havana, Cuba. Though Davidoff cigars are no longer made in Cuba, this year marks the 50th anniversary of the company’s “white label” cigars. To celebrate the milestone, Davidoff has repackaged some of its cigars with limited-edition, commemorative bands. 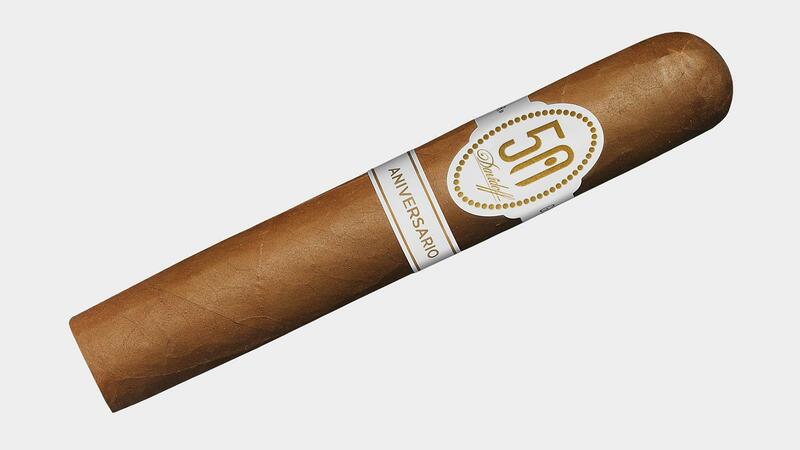 Five cigars in total are adorned with the new, eye-catching 50th anniversary bands: Two sizes from Davidoff’s Signature line and three sizes from the company’s Davidoff Aniversario line. “It is only the Aniversario and Signature lines that are receiving the special 50th anniversary band—Signature No 2 and 2000; Aniversario No 3, Special R and Entreacto,” said Lana Fraser, senior brand manager at Davidoff of Geneva USA. The blends of these specially banded cigars remain the same as their regular-banded counterparts.